Blogger is continuously improving search preference feature, Add Custom Robots Header Tags are very important for every blogger for better SEO. 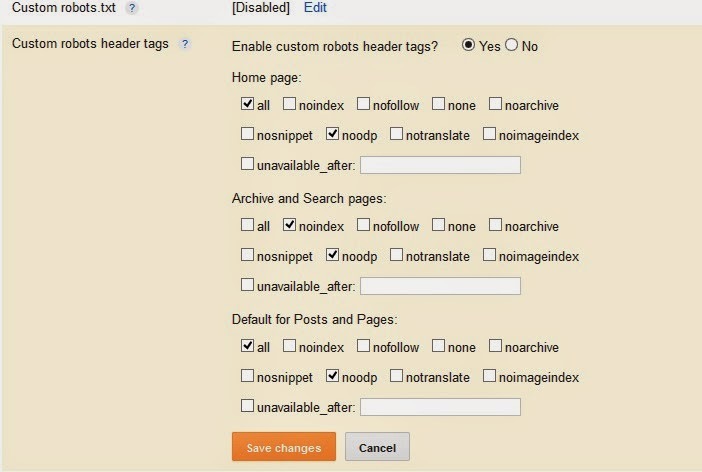 Increase Blogger SEO Traffic with Custom Robots Header Tags Settings. 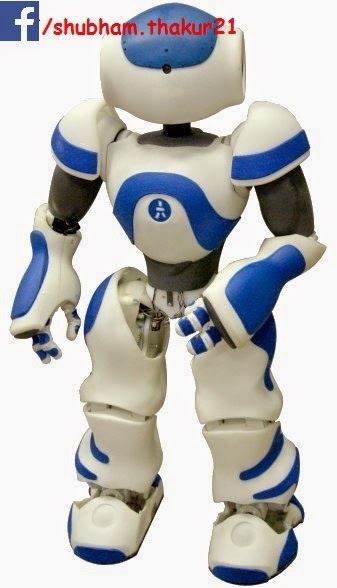 You should setup your custom robots header tags manually in blogger to get more SEO Support. In addition, you can increase your Site Unique Visitor with these type of settings. To enable these tags, Go To Blogger > Settings > Search Preferences, click Edit next to "Custom robots header tags" and select Yes. Activated! Now you must learn when should you use them. Using them correctly can help you rank better and using them at wrong scenarios can surely going to opposite. unavailable_after: [RFC-850 date/time]: Do not show this page in search results after the specified date/time. The date/time must be specified in the RFC 850 format. Example: 17 May 2012 15:00:00 PST. After Learning Above Meaning Lets Start Setting. This command instruct Google not to use the meta data from DMoz for showing up the images and snippets of your website in Google search engine result pages. "noindex" command restrict search engines to show a page in search engine result pages, not even cached link to that page also. Any page or post that you want to hide from robots and visitors can be tagged as noindex. Visitors wont be able to discover that page via search engines or may be even with the Google Custom Search Engine. The "nofollow" command instruct not to follow the link of a page. The "none" command is similar to "noindex" and "nofollow". The "noarchive" command restrict search engine to show cached link of a web page. Where the "notranslate" command disable the translation of a page in search results. If you are sharing your Project or Personal Picture on any of your posts or page then may be you would prefer not to make those pictures public and keep them limited to readers reach only. This command means there are no restrictions for indexing and serving anything from a webpage. What is the work of "unavailable_after"? The command instruct the search engine that remove the page from the search results after a specific time period. If you do not want to do the settings you can leave it as disable mode in default, you can get the better effect with your site SEO but it is an advanced mode for your Site. It will make more effective with your site content and make it make high rank from other blogger BlogSpot. I would really appreciate you to use it for your Blog. Please ask me any query you may have and feel free to share your precious views. Have fun buddies. Peace and blessings be upon you all always. Happy Blogging.